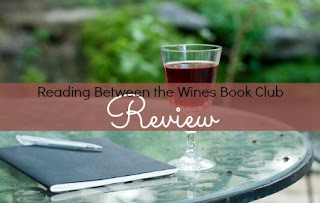 Reading Between the Wines Book Club: #Review ~ Grave Memory by Kalayna Price - 4 Wine Glasses! 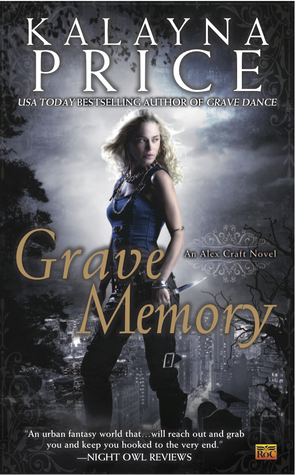 #Review ~ Grave Memory by Kalayna Price - 4 Wine Glasses! As a Grave Witch, Alex solves murders by raising the dead—an ability that comes at a cost, and after her last few cases, that cost is compounding. But her magic isn’t the only thing causing havoc in her life. While she’s always been on friendly terms with Death himself, things have recently become a whole lot more close and personal. Then there’s her sometime partner, agent Falin Andrews, who is under the glamour of the Winter Queen. To top everything off, her best friend has been forever changed by her time spent captive in Faerie. Can you really make a choice if you don’t understand who you are and what is before you? Alex Craft still has questions but one choice is easy, read Grave Memory and you will be taken on another thrilling Alex Craft journey! Yet another amazing installment of the Alex Craft series! If you read Grave Memory when it came out or if you have yet to read it, pick it up now and be ready for Grave Visions in February! Oh now this was a fun one. In true Alex Craft style trouble finds our Grave Witch no matter where she is. Stumbling upon a new ghost leads Alex down a rabbit hole and makes her the target for a powerful being. She still has another powerful someone very invested in tracking her down, the Winter Queen. But what’s a girl to do when she needs answers about the fae and Falin isn’t there to help? Well, there’s always her father. Book two was heavy with mythology and there is still plenty in Grave Memory. Alex spends a day in Faerie and after visits her father. Each time she sees him you are left with more questions! But Grave Memory has more paranormal involvement with the mysterious killer and ghouls. And a huge portion of this book’s paranormal involvement is connected to Death. To save Alex’s life Death trades essence with her and for the first time they are able to live on the same plane. This choice is dangerous and holds serious consequences but it is also beautiful to see self sacrifice and you will end up viewing Death as more than a pretty face in a nice pair of jeans. Alex’s friends play more of a role in this book and you begin to see how she is being torn different directions. Soon something will have to change and Alex will have to embrace what she is becoming, though she still doesn’t know completely what that is. Still so many questions! But Grave Memory is a wonderful ride and another thrilling mystery for Alex to solve. Hopefully book four will bring some answers. If it doesn't, it will surely bring more adventure for Alex and more Falin and Death!